As we prepare to celebrate Thanksgiving surrounded by family and friends, the countdown has begun for the biggest holiday shopping weekend of the year. Why not give the gift of making? We, as designers, each have unique skills and talents. Offering someone your time and expertise can be a truly thoughtful gift to give or receive, as much as it is to create something uniquely yours. At this time of year, everyone is flocking to shopping malls and madly scrambling to get everyone on their ¨naughty-or-nice¨ list something… anything. Material items often breakdown or requires batteries, or soon become outdated or forgotten and collecting dust, but the memories of sharing an experience or learning something new can last a lifetime. So may I suggest to all of you who may have a budding sewer, knitter, quilter, crocheter, photographer, gardener, baker, artist, jewellery-maker, cake decorator, cook, embroiderer, wood-worker, weaver, scrapbooker, or perhaps even treat yourself, on your gift list to present them with the gift of creating and making. 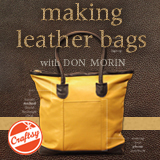 I’ll be offering special gift subscriptions to my Craftsy class, MAKING LEATHER BAGS with Don Morin, or you may wish to peruse the many hundreds of crafts and disciplines offered by Craftsy and their expert instructors from around the world. Each one makes a great stocking-stuffer and a thoughtful gift. When planning your gift-giving, think about who the recipient is and what he or she values. Recall what they may be passionate about or what makes them happy and joyful. Use this to inspire heartfelt, personalized, and thoughtful gifts from you that will be remembered and appreciated. Think about a skill or craft that you can share by subscribing to instructional lessons for a loved one or learn a craft yourself and design your own. It’s a wholesome way to spend time with a special person and share your passions. All Craftsy classes are available 24/7, anytime you want, whenever you want, and all have a 100% money-back guarantee if you’re not satisfied. Most of all, many have big savings for the holidays just for you, beginning with Black Friday and Cyber Monday through to the Twelve Days of Craftsy. The 12 Days of Craftsy… mark your calendars and get ready for the holidays with a new amazing deal each day from Craftsy. Yes… a new offer each day with big savings! Offers go up daily at 12:01AM and taken down at 11:59PM daily (Mountain Time) beginning December 1. Click here for today’s offer and use the daily promo code. Select gifts that let your loved ones know you see their true selves or applaud their inner creativity. This year, change your holiday shopping routine to bring ease instead of stress and give the gift of making. Embrace the spirit of the season and take the time to put thought and care into each and every selection you give and encourage their sense of learning and adventure. It’s the best way to create the joy and anticipation of giving and receiving this holiday season and throughout the year. 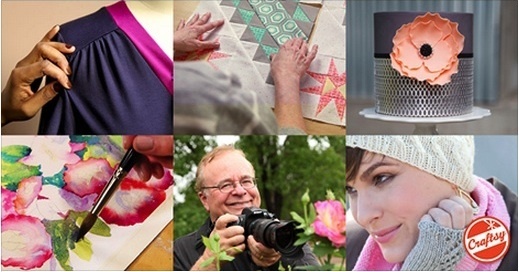 Hey, everyone… Craftsy is having All-You-Can-Watch Day. You may have heard by now…coming up on September 4th, they’ll give students a chance to wet their creative pallets by test-driving all Craftsy content for free (but only during that time period) and you can get a preview peek at MAKING LEATHER BAGS with Don Morin. That’s right, you’ll have the ability to watch bag-making design content for free from 12am ET – 12PM PT. I won’t be available to answer your questions in class, nor will the course material be available but you will be able to preview my class and any other Craftsy classes all day, as many as you want for free! So circle the calendar and save the date, Monday, September 4th and have fun on All-You-Can Watch Day. Spread the word to your friends. Craftsy just sent me some exciting and exclusive news: DVDs are (finally!) coming to Craftsy.com! They have carefully selected a set of classes for the first round of DVDs … 60 titles are available on Craftsy.com since May, and hope to add another 60 titles by the end of June. How wonderful! Selling Craftsy class content in this format I think will provide a unique hands-on way to introduce the crafting community to Craftsy and its company of talented instructors through crafting publications & catalogs, libraries, other online retailers as well as brick & mortar retailers. I’m really excited about this opportunity, and today they are all on sale! Bring your favourite Craftsy classes to the big screen. Craftsy is putting all of their DVDs on sale at $19.99USD each – today only. All DVD Craftsy Classes at $19.99 USD each. Sale ends June 13, 2017 at 11:59PM MT. Congratz to all my friends at Craftsy.com. 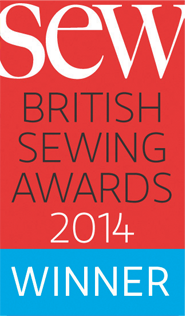 Craftsy has been voted the WINNER in the Best For Sewing Workshops/Courses category in the British Sewing Awards 2014 run by “SEW” magazine. It has been my great pleasure to be affiliated with the Craftsy organization and honoured to be associated with many talented design colleagues, all notable experts in their field. If you wish to learn more about Craftsy and its community of passionate designers and crafters featuring online classes about all your favourite crafts, check out my STORE page for my top picks, as well as my own online class, MAKING LEATHER BAGS. Just in time for Black Friday and holiday gift-giving shopping….”give fun”! Craftsy makes it so easy. What makes online Craftsy classes great? Learn for life! With lifetime access to your classes, you can watch lessons at your preferred pace and easily revisit your favourite concepts with just a click. Kick up your feet! Enjoy classes anytime from the convenience of your home or even on-the-go with our mobile apps. Get personalized guidance! Ask your instructor questions to receive all the answers and feedback you need to succeed. Love it! There’s no risk in trying with our 100% money back guarantee. Let me present my new STORE feature. 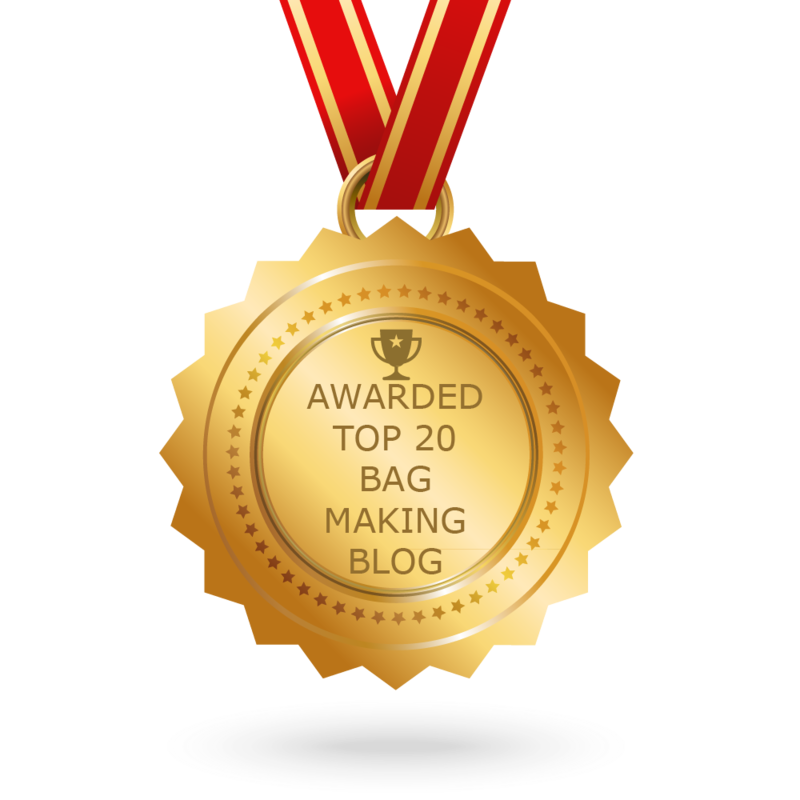 While my sole purpose of BAG’N-TELLE is to be a creative educational design blog, I am introducing this unique page to offer many of my followers more insight and instruction to the world of design-it-yourself. It will offer an array of DIY subjects that will foster my idea of creativity and life-long learning. My association with Craftsy, the online crafting people this past year, has been an enjoyable and rewarding one as it has provided me with another way to reach all my followers. Along the way I have meet and worked along with some great people. Colleagues like Kenneth King and Susan Khalje, fellow fashion designers, as well as other noted personalities you may know, like Richard Reinhart, baker extraordinaire and wedding photographer, Neil van Niekirk. The abundance of global talent and expertise on the Craftsy website is remarkable and so within reach through their unique teaching platform. They really get it and understand the delicate art of instruction. Best of all, you’ll learn from the pros and learn their tricks of the trade to achieving professional results, and share a love of crafting and a deep appreciation for the creative process. Once you have enrolled, you may watch each class as many times as you want, whenever you want, your access never expires, with a 100% money-back guarantee. So with that thought in mind, I will be offering links to many noted designers/instructors so you can experience the kind of creativity that we are passionate about and love to do so much. Consider trying Cake Decorating, Jewelry Making, Crocheting, Knitting, Paper Crafts, Quilting, Home & Gardening, Spinning, Weaving, Fine Art, Photography, Embroidery, Food & Cooking, and of course, my favourite, Sewing. Keep watching as I add new course launches and flash sales on your favourite topics and enjoy the fun! Expert ideas and tutorials about fashion accessory design, creative bag design, construction techniques, do-it-yourself approaches, and more... from designer and educator Don Morin.